Tonight we talk film and we go deep. In fact, we go deeper than 3D and wider than a 70mm blockbuster. 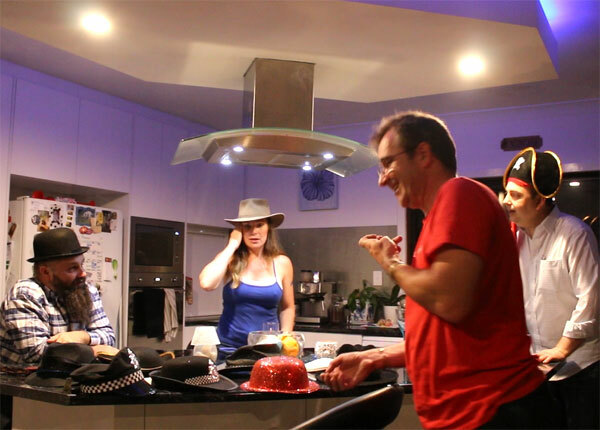 Our two guests, Mark Knight (Script Consultant and former Assistant Director) and Tess O’Flaherty (Producer, Actor, Assistant Director), take us on a tour of the set of the world of movie making in South Australia and Australia. Cinema grew out of theatre, he says. It is a visual thing, being able to what theatre cannot. We enjoy our characters in a plot. Whereas television grew out of radio. It might surprise you but TV is not a visual medium, because you can watch TV with your eyes closed. It is all about characters in situations. This heritage is why TV is given away for free, like radio. Whereas you buy a ticket to film, just like you did for theatre, you take a risk up front. We hope you enjoy the epic conversation that oozes into all the segments. Max Martin from iNform Health and Fitness Solutions – Max was indisposed this week. Our SA Drink of the week is Uncensored. Music is Stranger Things Have Happened by Kelly Menhennett. We have an Adelaide Visa Council with 2 defendants – a civilian and a media outlet (didn’t make the final show, will be released as an extra during the week). Fringe Show. Love to see you. 2014 Uncensored Shiraz, Accolade Wines. Tasting notes. 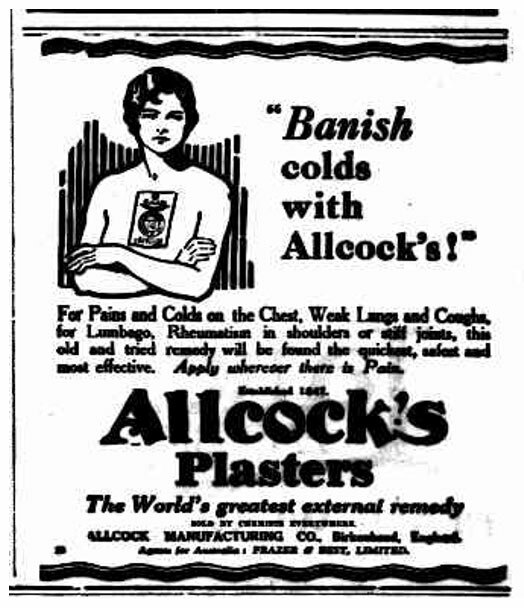 Allcocks Plasters. See advert at bottom of page. Film has a rich history in South Australia even though some pundits say we have endured some patchiness during recent decades. So tonight we’ve brought together two people who are intimately involved in the industry of dreams, to frame our understanding of this important art form, and direct us to a better appreciation for what succeeds here and what is left on the cutting room floor. And our song this week, Stranger Things Have Happened by Kelly Menhennett, recommended by our musical curator Adrian Miller, from Radio Adelaide’s Monday night program, Songcatcher.